We know that amazing food is an extremely important part of a chalet holiday especially after an active day on the slopes. Being foodies ourselves, we really enjoy putting the menu together and trying out new recipes in the summer. (and so do our friends) With the recent courses taken at Ashburton Cookery School, please see below some of the dishes we are working on and considering for next winter. We hope you like them! • Smoked haddock and mature cheddar tartlet, mustard and herb vinaigrette and mixed salad leaves. 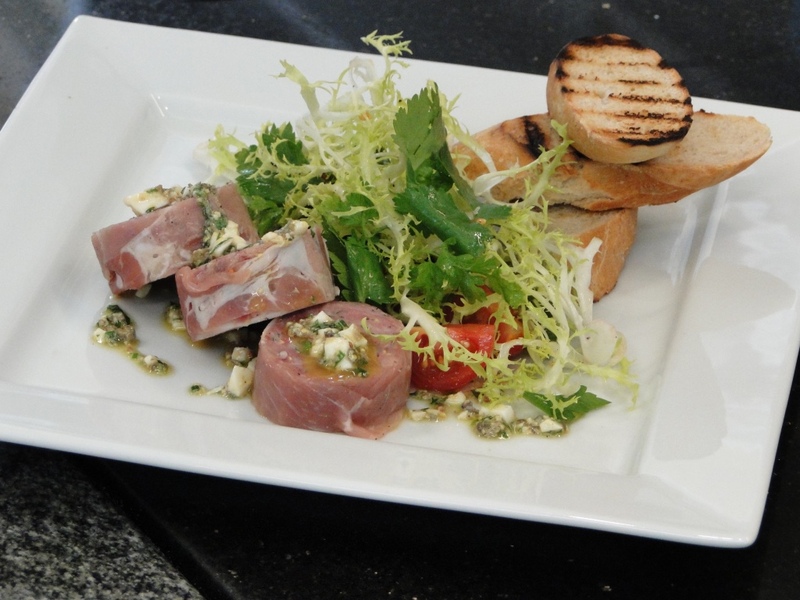 • Ham hock terrine, Sauce gribiche, sourdough toast, garden salad. • Roasted chicken breast, Anna potato, sautéed wild mushrooms, glazed green vegetables with madeira sauce. • Cumin roasted guinea fowl breast, braised leg pastilla, burnt aubergine puree, preserved lemon and tarragon jus, griddled courgette. 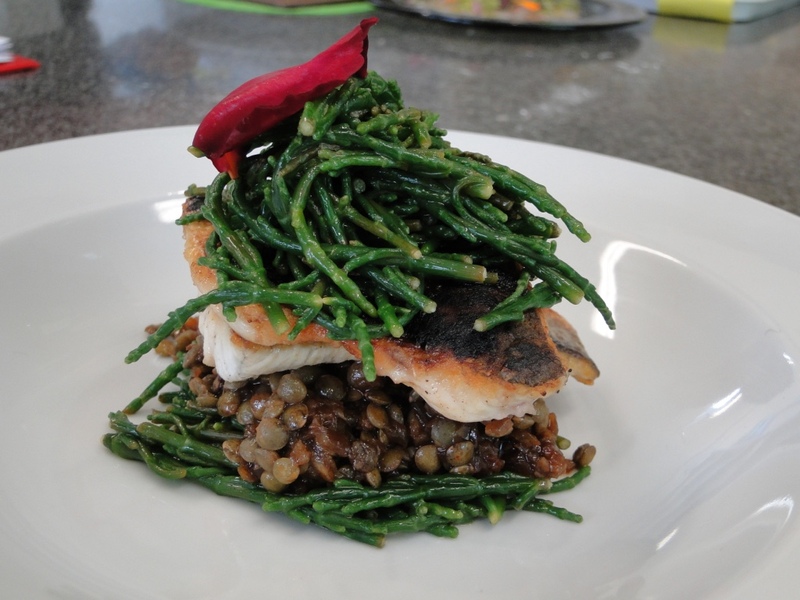 • Pan seared fillet of Sea Bass, sweet and sour lentils, samphire. • Buttermilk Panna cotta, honeycomb and, orange Muscat poached pears. • Caramalised apple and pecan soufflé, vanilla red wine caramel sauce. 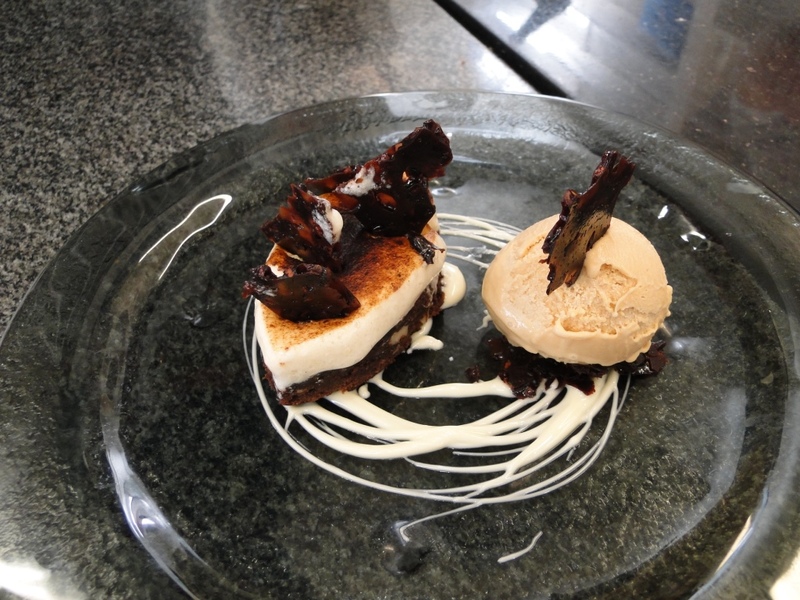 • Dark chocolate and hazelnut brownie, salted caramel ice cream and cocoa nib tuille. • Pate de fruit, truffles, cannelés bordelais.